At Xbox, we have seen firsthand the magic that independent developers can bring to gamers worldwide. The reception to ID@Xbox on Xbox One has been fantastic, with more than 1,000 developers with kits in hand working on the next generation of games for Xbox One and Windows 10. As much as we are excited about what is ahead, it is important to us that we acknowledge and celebrate the path it took to get here – while taking the next step forward together with the community. Today we communicated to developers that we’re beginning the sunsetting process for the XNA Creator’s Club and Xbox Live Indie Games (XBLIG) on Xbox 360. We’re working to ensure the process is as smooth as possible and to minimize any impact for developers who are still working on XBLIG games for Xbox 360. XBLIG is where many great developers got their start, and “diversity” doesn’t even begin to describe the incredible variety of games that creators made on XBLIG. So seeing the end come into view is definitely bittersweet. But it’s also a great time to reflect on the legacy of XBLIG. Not just what it accomplished, but how far the game industry has come in the nine years since the first beta of XNA Game Studio was released in August 2006. In 2006, video games – especially console games – were a closed shop. You needed to work at a company and know someone to even have a chance of seeing a dev kit, never mind releasing a game. At Xbox, we started with the vision that anyone could create console games. XNA and XBLIG were our first attempts to open up the closed console world – to let students, hobbyists, and anyone with a great idea make games and publish them without needing a studio or even a business license. Over the last nine years, we have seen many great developers get their start in XBLIG and we are very proud of all that has been accomplished. Developers who came from all backgrounds and all walks of life and were able to make console video games. As I look back, I feel the vision of the original creators of the program has been completely proven out by subsequent events. Games are a hugely important art form and the torch of democratizing game development has been carried on with amazing tools such as Unity, GameMaker, and Unreal Engine. On Xbox and Windows 10, ID@Xbox is a spiritual successor of XBLIG, offering platform and Xbox Live access on console and Windows 10 to independent creators of all sizes and scale. Anyone today can sign up for a Windows Developer Account and start making games today using the tools I mentioned earlier and more. Creators have more platforms they can ship on today than ever before, and more and better tools to help them every day – and our priority is ensuring that we give independent developers the support they need to take the next step with us towards the future of gaming. Additionally, a special "Claptrap-in-a-Box Edition" for The Handsome Collection is on the way. It costs £270 / $400 and comes with a remote-controlled Claptrap. It looks and sounds like Claptrap, and it rolls around on one wheel. Check it out in the gallery below. Bring your last gen data to the next gen versions! Borderlands: The Handsome Collection comes to North American on March 24, and will be available internationally on March 27. I was expecting only a Borderlands the Pre Sequal next gen version after all the DLC released, so I'm pretty happy that I saved the money buying the last gen version. There's no other news yet so when there is I'll update the topic. General Discussion / Happy Birthday, Tom! Another year has passed and now you're a year older, I hope you have a great 20th Brotato! Thanks to my good friend Knighty, he was kind enough to share me a way to get this game free for PC and wanted me to share it for anyone else who may be interested in getting this game for free and giving it a try. I'm not going to go into depth about this game as I have little knowledge of this game and I'm sure if I said something incorrect it'd be mistaken by another member who has played this game so I'll leave it to them to explain. The dramatic tactical action of XCOM: Enemy Unknown earned it a PC Gamer score of 87 when it launched back in 2012. You command a secretive band of supersoldiers as they face off against an alien invasion. Kill the enemy, autopsy their remains and then use them to build bigger weapons with which to kill bigger aliens. 1. Vote for your favourite games on the Golden Joystick site. 2. Before voting finishes, a special Playfire site will launch dedicated to the giveaway. Once you've signed up there and linked your playfire account to Steam, you'll be able to receive the email with your key. 3. Important: wait until voting finishes on October 23. Keys won't be sent out until after that point. 4. Sit back and plot the demise of the invading alien species. Don't forget to say a thanks to The Gold Knight for sharing this out. Gamescom is a trade fair for video games held annually at the Koelnmesse in Cologne, North Rhine-Westphalia, Germany. It is organised by the Federal Association of Interactive Entertainment Software. It is used by many video game developers to show off their upcoming games and game-related hardware. Gamescom starts on 12th August 2014 and ends on 17th August 2014. The 12th and 13th will be for Microsoft, Sony and EA to present their briefing showing their newest titles which are coming out later this year or next year. On the 14th until the 17th will be open for everyone to attend and try out these unreleased games before anyone else! What times can I watch these briefings? Where can I watch these Briefings? So that's everything you need to know before Gamescom 2014 starts. All news will be posted here and discuss anything here, stuff you'd like to see announced or discuss the teasers publishers and developers have shown below. If I've missed any, post them! General Discussion / Happy Birthday Trubtavium Recordsmith! Happy birthday Trub, hope you have a great day! You're such a great friend to have and been awesome speaking with you on the forums, even if you do call me cheater 99% of the time. What's included in Halo: The Master Chief Collection? Halo: The Master Chief Collection delivers the entire story of the Master Chief for the first time on one console. Play all four games at Xbox One visual fidelity and 60 fps, including a fully remastered Halo 2: Anniversary. 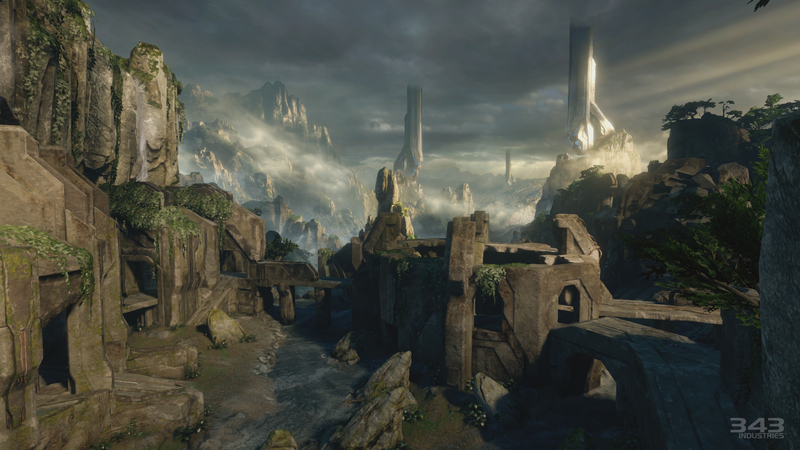 Featuring campaigns and multiplayer maps from Halo: Combat Evolved, Halo 2 Halo 2 Vista, Halo 3 and Halo 4, plus access to the live-action digital series Halo: Nightfall and the upcoming Halo 5: Guardians Multiplayer Beta, Halo: The Master Chief Collection offers the definitive Halo experience exclusively on Xbox One on Nov. 11, 2014. In a single disc, 343 has managed to package Halo: Combat Evolved, Halo 2, Halo 3 and Halo 4 all rendered in 60 frames per second and running at 1080p resolution on Xbox One. Each game will run on its own engine, meaning you'll get to play all those multiplayer experiences pretty much as they were when they released, but under a higher fidelity and optimization. This includes some of those loved exploits, button combinations (like the BXR) and other glitches as they were when their respective games came out. Since it is Halo 2's anniversary, that campaign is the focus of the HD collection. Part of that anniversary treatment includes six complete remakes of maps from Halo 2, built from scratch for the Xbox One. In that case, it will not run on the original Halo 2 engine. It's considered a bonus experience. Similar to Halo: Combat Evolved's anniversary edition, you'll be able to switch between New and Classic modes in Halo 2's HD campaign. 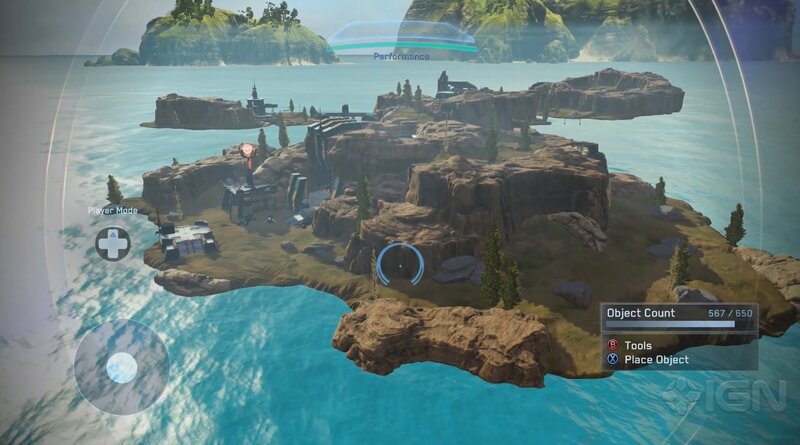 That means that with the click of a button, you can instantaneously see what Halo 2 used to look like ten years ago. And then with another click, you can switch right back. The team showed this feature off in the Cairo Station in Halo 2. Doing so showed off more lighting effects and reflections, more detail on enemies' armor—all the things you'd expect out of an HD edition. You can opt to sort through 343's curated playlists, which are known as mission setlists. There are playlists for each Halo game that's in the HD collection, as well as cross-title playlists that mix and match missions from different titles. O'Connor explained the reasoning behind this: "A lot of people simply aren't going to play 70 hours of legendary gameplay, but they wanna sample it and relive whatever experience they want." Some examples the team provided included things like "Me and My Hog," which gathers all campaign missions across all four games that include warthog missions. Or there's "Final Four," which runs you through the four last missions of each game. These playlists are currently being curated by 343, but they're considering opening it up to users to create their own. 343 executive producer Dan Ayoub followed up the presentation to showcase Halo 2's shiny new campaign in this HD package. "We can do more than just give you four Halo games," he said, "We can give you a brand new way to play it." He referenced "Netflix binging," which seems like an incredibly accurate way to describe it. While flipping through the master UI, he explains that everything—campaign and multiplayer—is unlocked from the start, giving you the ability to skip around as you see fit. "You can set your difficulty level, you can activate skulls, it lets you customize your gameplay quite a bit before you just jump into it and start going," Ayoub said. Multiplayer in this master UI is broken down by gameplay type. They showed Team Slayer up on the screen, and how you can choose from a variety of Team Slayer options from here. On this selection, there are a couple from Halo 2 and one from Halo 3. When you, or your lobby of fellow players, makes a decision, the game will launch the original engine of whichever one you picked. Taking place between the events of Halo 4 and Halo 5: Guardians, Halo: Nightfall follows the origin story of legendary manhunter Jameson Locke (Mike Colter) and his team as they are caught in a horrific terrorist attack while investigating terrorist activity on the distant colony world of Sedra. Led by Locke, the Office of Naval Intelligence (ONI) agents are forced to coordinate with a Sedran commander with a remarkable history and deep-rooted mistrust of ONI. As the plot unravels, they’re drawn to an ancient, hellish artifact where they’re forced to fight for their survival, question everything, and ultimately choose between their loyalties and their lives. Agent Locke is a new character in the Halo universe poised to play a major role in Halo 5: Guardians releasing on Xbox One in 2015." 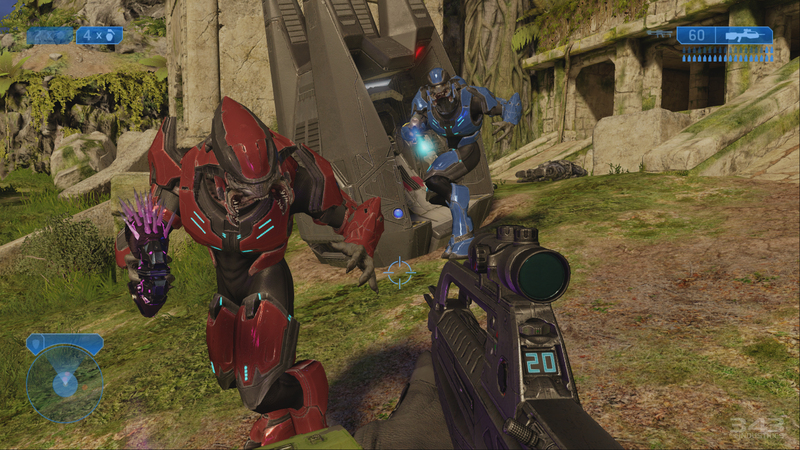 Be among the first to experience a new generation of Halo multiplayer in the Halo 5: Guardians Multiplayer Beta, starting on December 29, 2014. 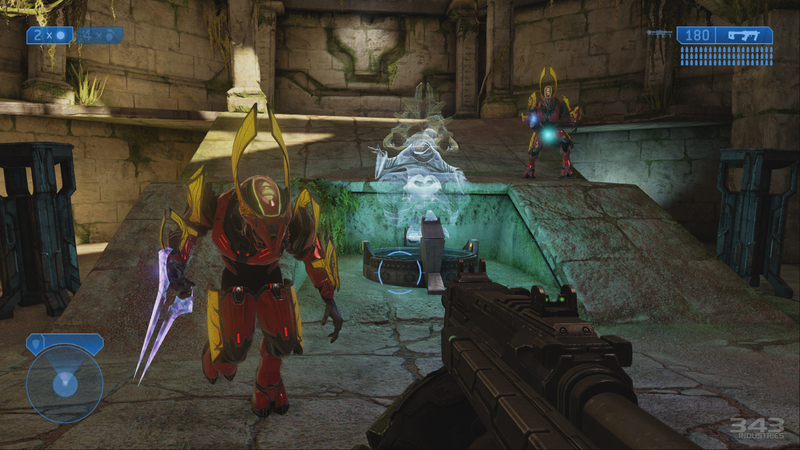 Gear up for the Guardians beta by unlocking exclusive content in The Master Chief Collection and Halo: Nightfall. Crytek has revealed its new four-player co-op title Hunt: Horrors of the Gilded Age. The game is described as "a spine-chilling new multiplayer experience on PC and consoles". The action apparently takes place in third-person and will task four players with banding together to fight off waves of bloodthirsty creatures and hunt down bosses. Set in the late 1800s, Hunt takes place in a world where myths and legends give insight into the evil that really lurks around every corner. You start as a hunter - one of the few willing to take up arms to try and reduce the number of horrors infesting the world. Content is at least partially procedurally-generated, in a bid to make sure you won't encounter the same environment, enemies or bosses multiple times. This unpredictability is what's set to scare, apparently. Seeing the release date is Fall 2014, we'll most likely see more of this at E3. Ubisoft has announced Far Cry 4, which will release on November 18 in North America and November 20 in Europe for Xbox One, Xbox 360, PlayStation 4, PlayStation 3, and PC. 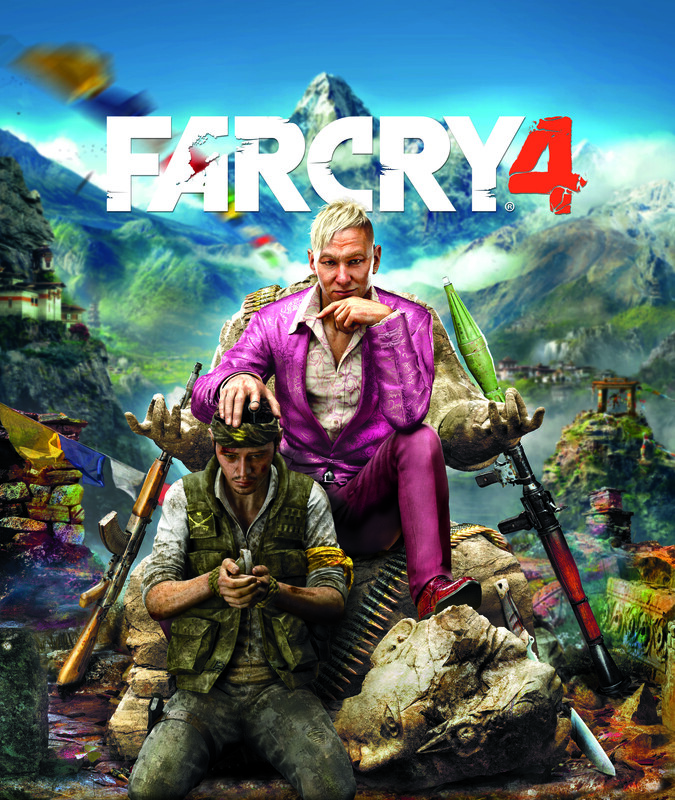 Far Cry 4 is set in the Kyrat, a fictional Himalayan region ruled by “a despotic self-appointed king”. Trailers and such will most likely be shown during E3. I can't wait for this game, Far Cry 3 was one of my favourite games to play for my 360. Sid Meier's Civilization®: Beyond Earth™ is a new science-fiction-themed entry into the award-winning Civilization series. As part of an expedition sent to find a home beyond Earth, lead your people into a new frontier, explore and colonize an alien planet and create a new civilization in space. A New Beginning for Mankind is coming Fall/Autumn 2014. General Discussion / The White Rabbit's Birthday! Goat Simulator uses NVIDIA PhysX and Apex for the in-game physics, which gives the game amazing and realistic physics! Goat Simulator is currently only available on Windows. Mac and Linux will be available another time with an unknown release date so Mac and Linux users will have to suffer without goats in there lives for now. Goat Simulator is the perfect game for your Goat needs and desires. The game is really realistic and plays out perfectly. This game totally deserves Game of the Year. YOU WILL NOT REGRET YOUR PURCHASE!!! Was when ma bestest bro was born, Tom! I just want to say have an awesome birthday, relax, enjoy, and most important, have as many cookies on the house! Also, I have made a special cake for ma Bro, make a wish! Gaming / VGX 2013 + Game Announcements! Another year has gone, and if you remember correctly, I made a topic of this last year, asking what all your options on who should win each Category. These are all the options. Telltale has announced Tales from the Borderlands, a new episodic series coming in 2014. Tales from the Borderlands is "very much in the Borderlands world" but contains Telltale's typical gameplay, though it's promised to be "big and bombastic." Telltale will develop the game, but Gearbox is consulting and helped to come up with the project.